Green is one of thousands of individuals whose access to a comprehensive eye exam and new glasses at no cost is made possible through a partnership between The United States Conference of Mayors (USCM) and VSP Global. Together with VSP network doctors, the two organizations are teaming up for the third year in a row to bring access to eye care and eyewear to people like Green who need it the most. This year, USCM and VSP identified communities in three cities for the VSP Global Eyes of Hope mobile eye care clinics to visit. San Jose, California will be the first stop mid-March, followed by Columbus, Ohio in May, and finishing off with Chicago, Illinois in June. In 2016, after providing access to vision care for 1 million people through Eyes of Hope initiatives, VSP Global committed to helping a million more by 2020. The partnership with USCM helped launched that pursuit. Now, two and a half years in, VSP Global is close to reaching its goal. More than 45 million households in the U.S. don’t have access to vision insurance. 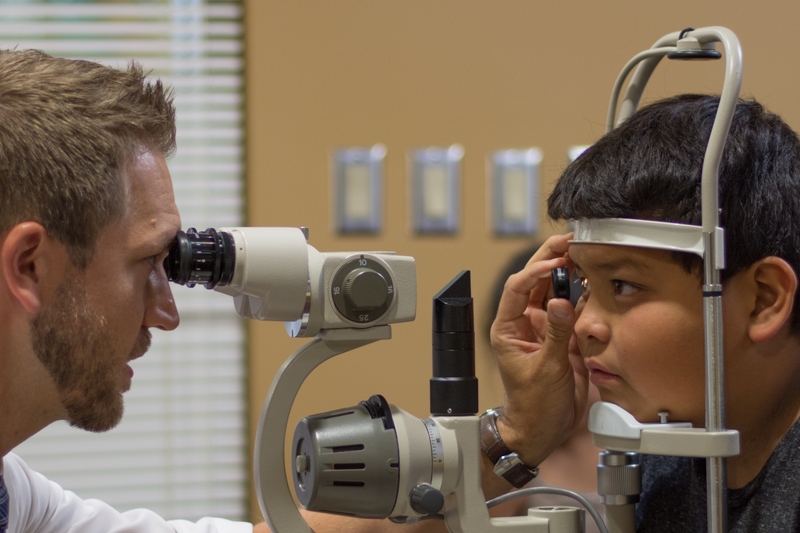 Healthy vision is essential to a child’s ability to learn and achieve their academic potential, as well as to play sports and other activities. Easily remedied vision issues can impact a child’s sight for life if not caught early on. Without glasses, adults might have a harder time filling out job applications, performing in the workplace, and other everyday tasks. For senior citizens who are more prone to chronic eye illnesses such as glaucoma, cataracts and macular degeneration early detection is critical. Hear from those affected by the partnership, including doctors, patients and the late Ed Lee, former mayor of San Francisco.